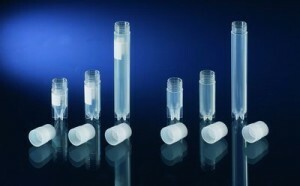 Starfoot vial fits into grooves of the CryoTube Rack (Cat. No. 376589), which allows one-hand operation.